A former Topeka police chief is convinced law enforcement agencies hiring officers would benefit from access to previous employers’ files detailing an applicant’s job performance, commendations, grievances, disciplinary actions and other personnel information. Ed Klumpp, who lobbies for a coalition of police and sheriff’s officer associations, recommended Senate Bill 180 to require applicants for a law enforcement job, who had been employed by another state or local agency, to authorize each prior employer to release files to agencies screening applicants. Anyone refusing to permit release of information couldn’t be hired. Klumpp, who represents the Kansas Sheriff’s Association, Kansas Association of Chiefs of Police and Kansas Peace Officers Association, said the files would help agencies establish whether an applicant had been placed on a Brady-Giglio list. These lists identify officers with a record of dishonesty or other impeachable misconduct relevant to offering testimony in court. Amanda Stanley, legal counsel to the League of Kansas Municipalities, said there were advantages and disadvantages to a bill requiring a state or local law enforcement agency to produce the entirety of an applicant’s file with the exception of binding nondisclosure agreements completed prior to July 1. 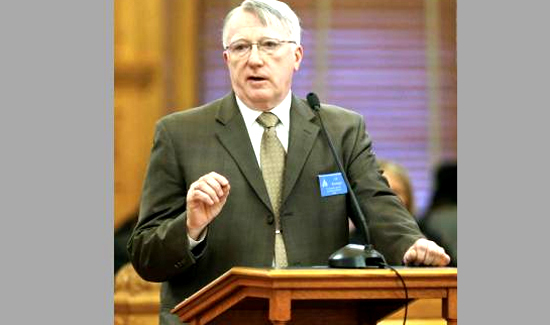 In that sense, Stanley said, the League of Kansas Municipalities remained a supporter of state law mandating disclosure of reasons for the termination or resignation of an officer to the Kansas Commission on Peace Officers’ Standards and Training.